It’s easy to be thankful when things are going well. For example, we feel gratitude when we win the lottery, buy a house, land our dream job or fall in love. Thanks giving comes naturally when you’ve just added a new grandchild to the family or your favorite team wins the championship. But what about the not-so-good things that happen? To the uninitiated, the idea of being grateful for a bad turn of events might seem ridiculous. How in the world can you feel thankful for the love of your life walking out on you? How can you appreciate being let go from your job? If you have experienced a negative life event, it’s likely that you got past it. You survived. Maybe you even identify with the popular adage that we are “stronger at the broken places.” Whatever the darkness was, you stared it down. You learned from it. You emerged a better person. Therein lies the gratitude. The next time something bad happens – And there will be a next time (That’s life!) – You might remind yourself of the previous experience. Ask yourself, “Can something good come of this?” Even if the first answer is a resounding NO, you’ve opened yourself up to a new possibility: Maybe this isn’t all bad. 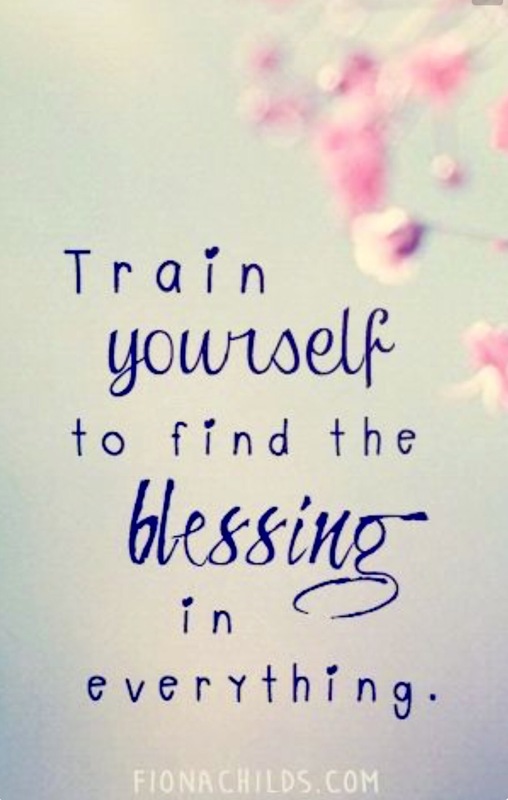 Learn to seek the silver lining. Better yet, expect it. It’s always there. Find gratitude in your challenges as well as the gifts. You’ll be amazed how this simple shift in thinking propels you forward, out of the darkness and into the light. You will live a deeper life. Gratitude leads to abundance. Yes, it certainly does. < Previous Got questions? I’ve got the answer. Yes I have learned this! There is always , always something to be thankful for. I am thankful for you! This is a very appropriate blog for me today. Really struggling with finding that silver lining right now with all that is happening in my daughter’s life and her little boy’s today. I know it is there, hiding somewhere, just waiting for it to peek through. As I write this post I guess the silver lining is having a wonderful daughter that is so incredibly strong and never stops fighting to do the right thing for her kids, no matter how hard that is. I am blessed to be a grandma that knows her grand-babies will always have a “Superhero” as a Mom.